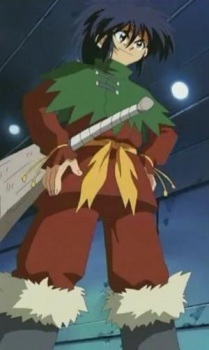 Joe is another member of the Super Five Field Guardians and the 2nd opponent whom Bull faced. Joe is a friend to Terry. His B-Daman is Samurai Phoenix. Joe also appeared in Winners Tournament as Player X during qualifying round. Note: He is not Terry's brother, whose name is also Joe.